FC Groningen were frustrated in a 1-1 draw with De Graafschap at Euroborg to extinguish their slim hopes of a Europa League play-off spot. 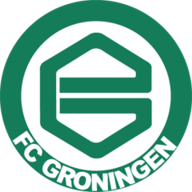 FC Groningen were held to a 1-1 draw by lowly De Graafschap at Euroborg on Friday evening to extinguish their slim hopes of a UEFA Europa League play-off spot. Matias Jones gave the home side a 33rd-minute lead but De Graafschap levelled through Anco Jansen's goal with just over 20 minutes to go. Groningen are now eight points adrift of eighth-placed Roda JC in the final European play-off position with only two games left of their season, while De Graafschap are now two points above bottom side Excelsior, with the Rotterdam club having played one game less. The hosts fashioned the first chance in the 12th minute when Lorenzo Burnet broke clear and crossed for David Texeira, whose shot was gathered by De Graafschap goalkeeper Yves de Winter. Michael de Leeuw fired over a chance for the visitors soon afterwards after good build-up play from Soufian El Hassnaoui and Rydell Poepon and at the other end Petter Andersson's attempt was held by De Winter after 30 minutes. The breakthrough was soon to come for Groningen, looking to end a run of four straight defeats, and it came from Uruguayan forward Jones. Dusan Tadic crossed from the left and Jones drilled a low shot beyond De Winter. Five minutes later De Winter had to be on his guard to keep out an attempted lob by Nicklas Pedersen, before De Leeuw fired wide after being gifted possession by Leandro Bacuna. 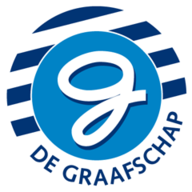 Groningen came out on the offensive and De Winter was called on again to parry a Texeira effort after he had breached the offside trap, and El Hassnaoui fired a free-kick over the top for De Graafschap. The visitors equalised as Jansen cut in from the left and drilled a superb angled shot high into the top right-hand corner to give Luciano in the Groningen goal no chance. Tadic had a chance to win it for Groningen in the first minute of injury time but his 25-yard strike flew off-target.